I'm learning that one great thing about Richmond is that the people here like to eat. I have a list a mile long of restaurants that locals have recommended to me and my experiences at the few I've tried have been nothing but great. 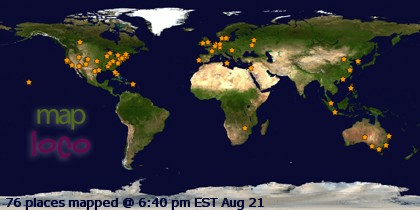 In addition to restaurants, there seems to be a plethora of farmers markets. I'm all about buying and eating local, so knowing that I won't have trouble finding fresh food makes me very happy. This weekend, my co-worker, Jonah, and her two kids took me to the South of the James Market. 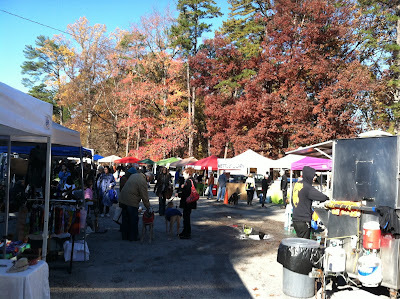 Visiting this market was my first opportunity to cross the James River, so I was already excited before we got there. Vendor booths at South of the James Market surrounded by fall color on a beautiful sunny day. The open-air market operates from May to December and boasts about 80 full time vendors and a dozen part time vendors. I had to show constraint because everything looked so delicious and I kept having to remind myself that I can always come back next week. One of my favorite aspects of markets is the feeling of community. The busy vendors always seem to have time to stop and talk to the customers, families bring kids of all ages, many with their dogs, shopping, eating, socializing- it is just a great way to spend a Saturday morning. 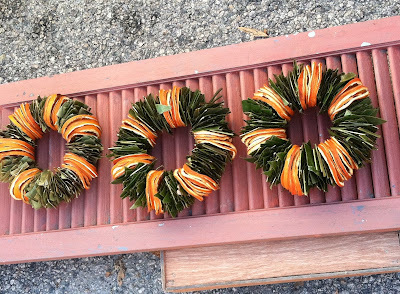 Wreaths of dried citrus rings and magnolia leaves. 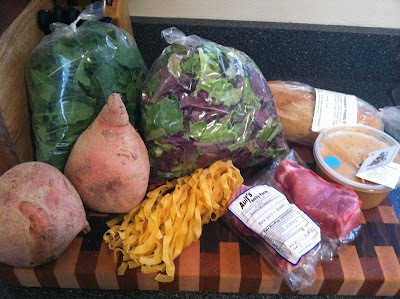 I came home with a pretty good haul of salad greens, arugula, sweet potatoes, pumpkin fettuccine, pork chops, pumpkin potato bread, and creamed almond honey. The recipe ideas are already swirling in my head! It was fun showing you around Grace! So glad you like Richmond & the South of the James Market as much as I do. We'll have to hook you up with Ralph White Mr. James River Park to give you a tour of the many areas of James River Paerk abutting the river. He can also show you his & others poetry inspired by the Mighty James.